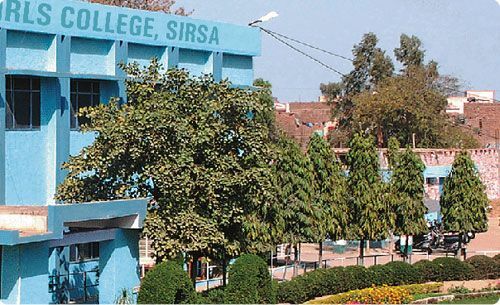 C.m.k.College is a college in Sirsa and this college is affiliated with Kurukshetra University and has beautiful buildings, hostel, well-equipped labs like science, Home science, Psychology, Geography and English language. They have 3 NSS units, proud of mentioning that they have started NCC also from this session . And this college is only for girls. A very spacious new wing comprising of large class rooms, conference hall, big canteen and very vast library has been built which will facilitate the students.